We’ve created a masculine space for men who care about their appearance. Sit back and relax and enjoy a personalized consultation for either a cut or other William James Hair & Skin Studio salon services that are customized to your particular needs. The William James Hair & Skin Studio team of talented hair stylists will make you feel right at home and ensure that any cut, service or look we provide for you is created to suit your lifestyle and personality. Have you thought about certain new cuts and styles but you are unsure what would suit you? Have you thought about shaving it all off? 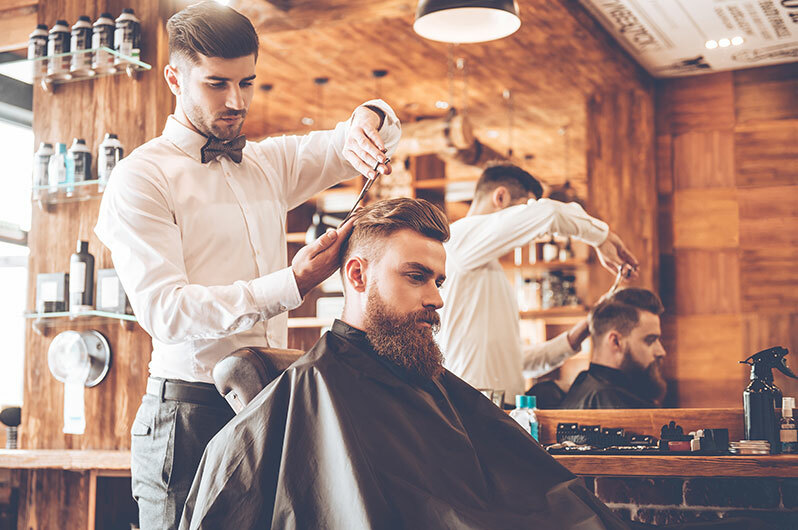 Consult with our experienced men’s stylists whose only goal is to make you comfortable while you are here and ensure that you leave looking your best! Whether you are concerned about looking distinguished as you go gray, want to camouflage thinning hair, or for something completely new, William James Hair & Skin Studio offers the products and techniques that guys are looking for. From conditioning conundrums to a thinning thatch, William James Hair & Skin Studio experts dispense hair care advice exclusively for men. Shampooing everyday may not be necessary and can contribute to dry dull hair. Opt for twice weekly shampoos that include a top quality deep conditioner to smooth out coarse hair for a handsome look. Ask a William James Hair & Skin Studio stylist for suggestions on the best products for men only. Some men experience gradual hair loss and thinning as early as their late twenties and early thirties and many deal with visible thinning by forty years and up. William James Hair & Skin Studio hair experts advise men to use a matte styling paste or clay to give the appearance of thickness that also makes hair more manageable.